If you are looking for a Deltona Painting Contractor that is licensed and insured, you are in the right place. iREPAINT is Volusia County's Finest Painting Business. We have been providing quality craftsmanship since 2004. We strive to continually be the best painting business in Volusia County. One way we ensure this is by providing our potential clients with detailed estimate and written proposal outlining the services to be performed. My business philosophy is to do the job right or not do it at all. 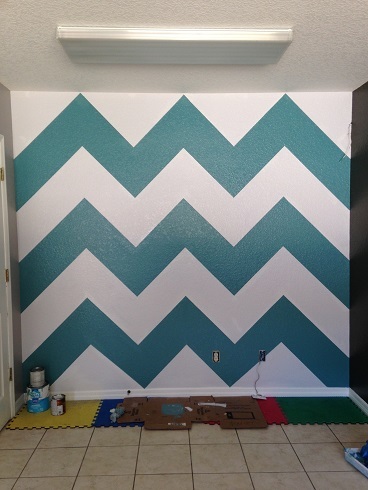 I know that many painters would readily sacrifice quality to give a client a cheaper price. They believe they are competing on price alone. iREPAINT prefers to focus on doing the job with integrity instead of doing the job cheaply. A wise consumer understands that you can't get a BMW for the price of a Yugo without sacrificing lots of quality and tons of durability. Our professionals knows how to work efficiently. This gives our customers a higher quality and more durable finish. We pride ourselves on giving our customers greater value. Smart money looks beyond cost and seeks out additional benefits before spending any money to improve their property. You can rest easy knowing that iREPAINT only hires skilled painters and we rigorously background check them for our customers safety. This gives you the addittional insurance in knowing we hire quality people. All of our employees speak english and are covered by workers compensation insurance. We choose to tailor our painting and pressure washing services to consumers who want the peace of mind to know their job is going to be done the right way, right on time. Our painting professionals have the skill developed through years of experience to give you the best finish. We are proud of our work and take pride in what we do! So when you next need a Deltona Painter, give us a call to learn why countless customers choose to do business with iREPAINT!